Congress candidate for Mandya Lok Sabha byelection is serious about her political career and said she is returning the advance for two films she was scheduled to shoot now. Divya Spandana (Pic: Wikimedia COmmons). 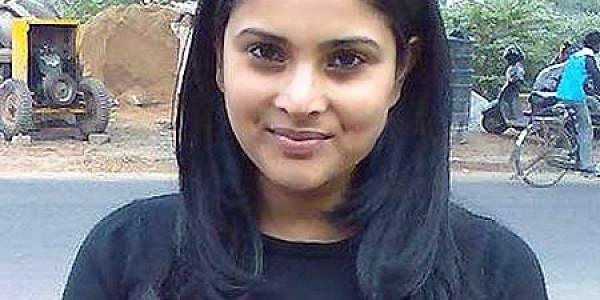 Ramya (Divya Spandana) wants to be the youngest MP. And she is so serious about this career that she might even give up her position as Sandalwood’s top heroine: She says she is returning the advance for two films she was scheduled to shoot now. “It’s all destiny,” says Ramya, who has taken to her new role as the Congress candidate for Wednesday’s Mandya Lok Sabha byelection with gusto. Excerpts from an interview to Sowmya Aji. Why did you decide to jump into the election fray when your term will be just nine months? Whatever I can do in the time I have, I will. If I am elected, I will ask for the ticket in the 2014 elections also. If I lose, I ’ll work hard and hope they give me the ticket next time. I was talking to manufacturers for my designer clothing line in Delhi when Chief Minister Siddaramaiah and KPCC president G Parameshwara called me and said I was to contest from Mandya. It was a mad rush to reach Mandya in time to file my nomination as all flights out of Delhi to Bangalore were full. I took a connecting night flight to Mumbai and barely made it to the DC’s office in time. I was not even told what happened to him. When he collapsed I was in a press conference and was whisked off to political meetings. They said my father was with Ambareesh uncle in a meeting. But a mediaperson called me and said TV channels were flashing that my father was not well. I demanded to be told the truth and was taken to the hospital in Mandya, where everyone was sitting around stone-faced. My father, a diabetic, could not get anything to eat because of our rush and collapsed. Congress leaders asked me not to withdraw. Everyone kept saying this should not have happened, but I should fulfil my father’s last wish. I got no time for myself. Still, I decided to go ahead, because this is what my father wanted for me. How has the JD(S) comment on your biological parentage and caste affected you? I was confined to my room, not reading papers or watching TV, not taking calls. I was in grief and didn’t even know about it. It is only when I came out to campaign that I realised what he had said. I don’t know the person who said this and I don’t even want to know. I will not react to what he has said and make myself cheap. But personally, I believe that neither my lineage nor my status makes any difference to what I am as a person. And whatever respect I get and have got in the film industry as well as in politics is given to me the person, not my lineage or caste. How are you going to balance your film career with politics? Ambareesh uncle and Govinda could do both, but I don’t think the public will accept an MP who is running around trees in short skirts and sleeveless blouses. As it is, since I got the ticket out of the blue, I am returning the advance for two films that I have already signed, one with Sudeep and one with the “Sanju Mattu Geetha” team. If I get elected, I will take a decision, but I don’t think I can be an MP and a heroine.